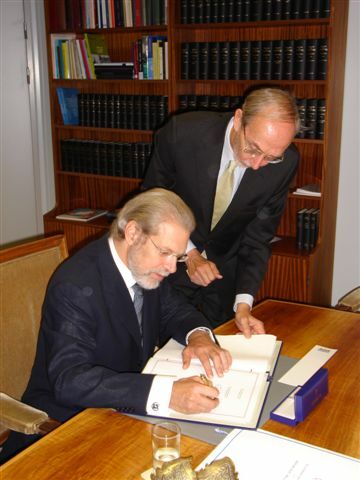 On Wednesday 2 September 2009, the Hague Convention of 29 May 1993 on Protection of Children and Co-operation in Respect of Intercountry Adoption was signed and ratified by H.E. Mr Konstantinos Ioannis Rallis, Ambassador of Greece. Also attended the signing ceremony at the Ministry of Foreign Affairs at The Hague, as representatives of the Hague Conference, Mr Hans van Loon, Secretary General, and Mrs Laura Martínez-Mora, Adoption Programme Co-ordinator. 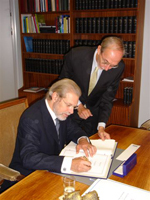 The 1993 Convention will enter into force for Greece on 1 January 2010.